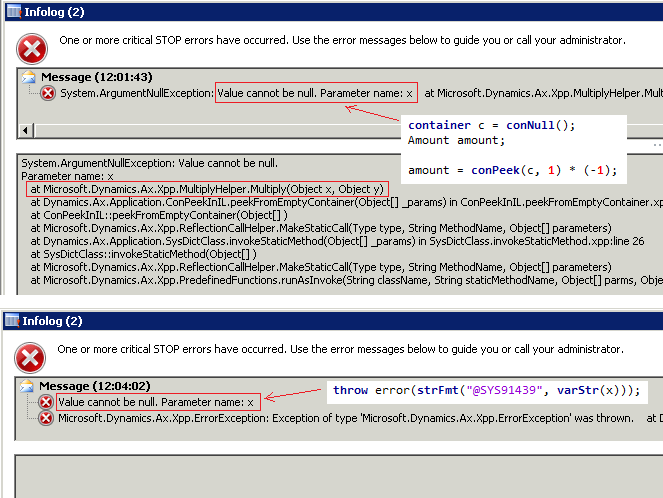 Don't get confused, when trying to find where this error message was thrown: "Value cannot be null. Parameter name: x". Especially, when this is something thrown during AIF processing. You might suggest that this is a label and you do find the label @SYS91439, but still you have no idea what is going on, e.g. no breakpoints with this label are hit. So, it may well be something thrown by an arithmetic operation, which was passed a null value. 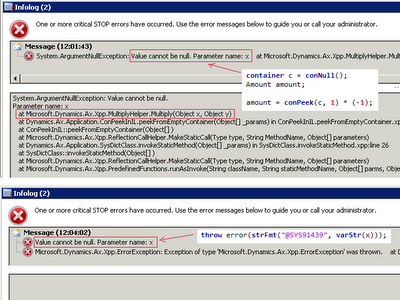 Another good reason to give meaningful names to variables and check for null values.